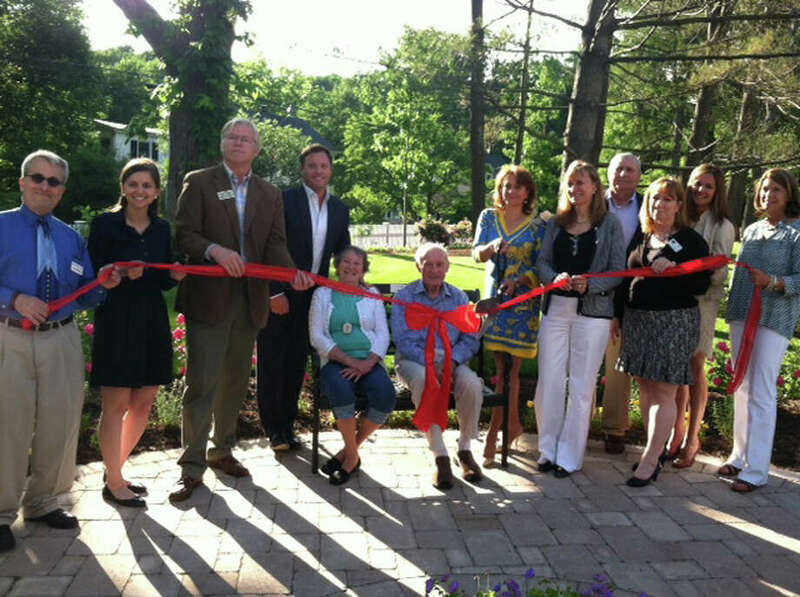 Locally owned Maplewood at Darien dedicated its garden to its first residents and their families. The area was named Gorham Garden after Capt. George Gorham, of Darien. A bench was dedicated to Sue Morris and Bill Crawford, who represented the first residents of Maplewood at Darien. Dr. Susan A. Collins, who oversees the medical care of many residents at Maplewood at Darien. Eleanora Tornatore-Mikesh, Howard Bloom and Lexi Rodrigues, who represented the Alzheimer's Association of Connecticut. The Gorham family inhabited Darien for more than 200 years during the early 1700s. Capt. George Gorham's reputation was recognized after he purchased a mill near Clock's Landing/Rings End Landing and Gorham's Pond. Gorham's Mill was burned to the ground in 1822, destroying the cherished landmark. town seal depicts Gorham's Mill at Gorham's Pond, representing the acquisition and influence Gorham left behind. Maplewood at Darien is a 66-unit community that provides specialized care to residents with traditional assisted living and memory care needs. Professionally trained staff provides care and attention to those residents needing a supportive environment, as well as specialized care for those with Alzheimer's disease and dementia. Other locations include Danbury, Newtown, Orange and East Norwalk.